originally I conceived muse to be listened to as though we were sitting in the living room together. later on, cello, viola, violin, acoustic guitar, acoustic bass, accordion, harmonica became part of this music, all thanks to the wonderful musicians who brought their heart and soul to each song. 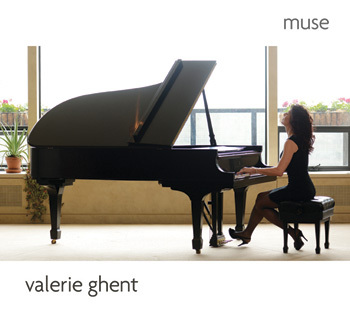 “muse” is a return to my musical roots, playing the piano and singing in my earliest years, singing and playing with my mother on viola, listening to my mother’s string quartet rehearsals, the stillness and silence when I sat at the piano alone. all the songs on this CD “arrived” of their own accord, hence the title “muse”. although technically yes, I wrote these songs, it feels to me like they arrived from elsewhere and I was just lucky enough to hear them as they floated by on the air. some songs arrived in moments of profound joy, others after my parents passed away. joy and pain, sunshine and rain…. the only song on “muse” I didn’t write is “refrain de mon enfance”, a French chanson written by my great-uncle in Paris in 1954. upon discovering the music only a few years ago, the song reunited me with long-lost family in europe, so I wanted to include it on this album. an album this quiet and personal was probably the more difficult to complete out of all my albums so far. I couldn’t have done it alone. my love & deepest thanks to my husband tom, to attilio and rosemary, to my sister nadia for playing our mother’s viola on heavenly and most of all, to my parents, your love and your music continue to guide and inspire me every day. heavenly & you’re my star are for you, mom, I hear you every time I sing. gentle moon is for alex, sara & grady, when the three of you were very, very young. My heartfelt and profound thanks to rob morsberger, steve addabbo, michael barbiero, keith fluitt, nicole renaud, dimitri vicheney & serge tcherepnin for their encouragement, support and love.